The cement industry could flourish if President Trump follows through on his $1 trillion infrastructure plan. The manufacturing process is emissions-intensive. Photo by Doc Searls, courtesy of Flickr. President Trump's proposed infrastructure bill might not exist yet, but it already has concrete and cement manufacturers on the edge of their seats. While Trump has largely avoided specifics, the concrete sector — and the cement industry that feeds into it — likes what it has heard so far: $1 trillion of public and private capital poured into the construction of roads, railways, bridges, tunnels and airports. The plan will be guided, Trump has said, by his signature "Buy American, Hire American" philosophy. Many anticipate that an infrastructure development project of that scale, and the flurry of construction it will require, will be a boon for the concrete industry. At the same time, environmental advocates worry that launching a mass overhaul of existing infrastructure without a good plan will leave a frightening carbon footprint, since producing cement, the sludgy mix that's used to make concrete, is the second-largest source of industrial carbon dioxide emissions in the country. "We're very supportive and excited to see the focus on rebuilding our infrastructure," said Scott Parson, chairman of the National Ready Mixed Concrete Association. "We estimate that each billion dollars spent in infrastructure will drive demand for 3 million cubic yards of ready mix concrete. It has the potential to significantly grow the demand for the product we manufacture." Parson's views are echoed by concrete and cement manufacturers across the country. The Portland Cement Association recently conducted an analysis of Trump's infrastructure plan, evaluating several potential policy measures that might be introduced, and concluded that cement consumption could amount to 128 million metric tons by 2021. But environmentalists have a different concern. According to one estimate, the cement industry produces around 900 kilograms of carbon dioxide for every 1,000 kg of cement. Since 1990, emissions from the industry have increased by 5 percent, factoring in a significant dip during the economic recession of 2008-09. Thomas Lewis, a professor at Skidmore College and an expert on the interstate highway system, pointed out that large-scale development can be extremely harmful on the environment if not properly regulated. "There are state and federal regulations that place considerable restrictions on the concrete industry, and it's a safe bet to say those restrictions will probably be limited under this administration," he said. 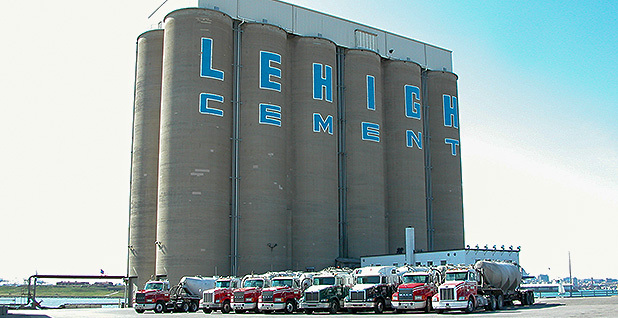 "If you're going to be building more highways, you're going to need more cement plants." At the same time, this is a tough battle for environmentalists to fight. Democrats have proposed a trillion-dollar bill of their own, and infrastructure could represent a rare area of potential bipartisanship in the Trump agenda. The construction industry is perhaps aware of this. Jerry Voigt, president and CEO of the American Concrete Pavement Association, attended the CONEXPO-CON/AGG trade show in early March and was struck by the buoyancy exhibited by concrete manufacturers at the event. "They were very optimistic," he said. "The outlook is growing, and they anticipate increased sales. In many cases, manufacturers were already experiencing this. So, yes, there's quite a bit of enthusiasm for our industry and construction in general — there'll be many more opportunities than we've seen here recently." According to Kenneth Simonson, chief economist with the Associated General Contractors of America, a majority of construction contractors are boosting their payrolls and expect a higher dollar volume of projects in 2017. "Contractors in most of the country say that they have been busy and expect to stay busy in 2017, and that their primary concern is finding enough workers," he said. "We've done this survey for seven years now, and this is the highest net positive reading we've seen." At the same time, the industry is somewhat tempering its optimism until there's a clearer idea of how Congress might respond to a trillion-dollar infrastructure bill. Association representatives intend to do what they can to support the bill, but they're also well aware that there's a good chance it might not survive on the floor. "[It's] something that has to be enacted by Congress," said Todd Johnston, executive vice president with the Portland Cement Association. "There's an expectation that we can get something out of the Republican-controlled House, but the Senate's a little bigger with a 60 vote." One way to help the bill through Congress, said Voigt, would be to frame it against the Fixing America's Surface Transportation Act, signed by President Obama in December 2015. The legislation provides over $300 billion for highways, public transportation and rails between 2016 and 2020. On the environmental front, industry representatives point out that manufacturers are heavily regulated by the Clean Air Act and keep sustainability in mind while operating. "Our energy efficiency has increased by the order of 40 percent in the last 30 years," said Michael Schon, vice president and counsel of government affairs with the Portland Cement Association. "We're increasingly using alternate fuels, keeping materials out of the landfill and putting them to use." According to Parson, who represents ready mix companies, around 3,000 regulations were enacted that impacted the cement and ready mix concrete industry during the Obama administration. He's anxious for "prudent regulatory release" that will allow them to operate more efficiently. This could be possible under the new administration. "We are certainly optimistic that there is an appetite to scrutinize and repeal burdensome regulations," he said. But Stephanie Gidigbi, director of policy, capacity and systems change at the Natural Resources Defense Council, said it's important to incorporate climate resilience and smart technology into infrastructure projects. "If we are going to invest [in infrastructure], we can't pull the same old plans off the shelf," she said. While she stressed that the NRDC is not against an infrastructure development project, she suggested that it's important to select the right kind of projects and prioritize performance-based infrastructure, to ensure that the plan's carbon footprint is minimal. "We don't want a build that creates sprawl, since we already have people sitting in hours of congestions to get to and from work. ... If we improve what we have, we won't necessarily be creating the same emissions," said Gidigbi.